Posted by Ubi Dubium in Brain Glitches, Responses. A while back Jim posed a question on his blog, The Common Atheist. Posted by Ubi Dubium in Responses. I recently left this as a comment on Wondering Eagle’s blog post about prayer. Since I haven’t blogged much recently, and I’m pretty pleased with the comment, I thought I should give it its own post. I’ve always been puzzled about the disconnect between what evangelicals say about god, and what they say about prayer. They say their god is all-powerful, all knowing, benevolent, and has a perfect plan for their lives. Then they spend time telling god things and begging god to change stuff. If god already knows what people need, why spend time telling him what you want? If god has a perfect plan, then why are they asking him to change it, just for them? And why do they think a request to change his perfect plan is more effective if they have more people doing it? Is god not going to “bless America” unless a bunch of christian politicians make sure to ask him to in their every speech? (This is why I laugh at the whole “prayer warrior” idea. It’s just magical thinking.) They say “trust god” and “let go and let god” and then they spend long hours in prayer not trusting him and giving him advice on what to do. Now the way evangelicals pray would make a lot more sense if they were talking about a limited god, like the ones in the Greek pantheon. Those gods didn’t have perfect plans, didn’t know everything you were thinking, and if you sucked up to them enough, and sacrificed enough cattle, they might be willing to take your advice about what to do. Modern evangelicals often sound like they are preaching about YHWH and Jesus, but then praying and tithing to Zeus. Oftentimes, during a conversation between a theist making a conversion attempt and an atheist, the topic of lack of evidence for the supernatural comes up. And sometimes the atheist demands, not only evidence that the supernatural exists, but some kind of an explanation for the mechanism by how it operates. But I don’t need that second part, and don’t think we need to demand it. If I had strong enough evidence that the supernatural existed, I’d accept that it did. The theist will then usually protest about how there’s tons of evidence. Faith healing that’s not statistically better than placebos! A plane crashed and somebody survived! Just look at the trees! And other such stuff that isn’t good evidence for the supernatural. What would a world look like where there was good evidence for the existence of the supernatural? I’ve found a really good example. 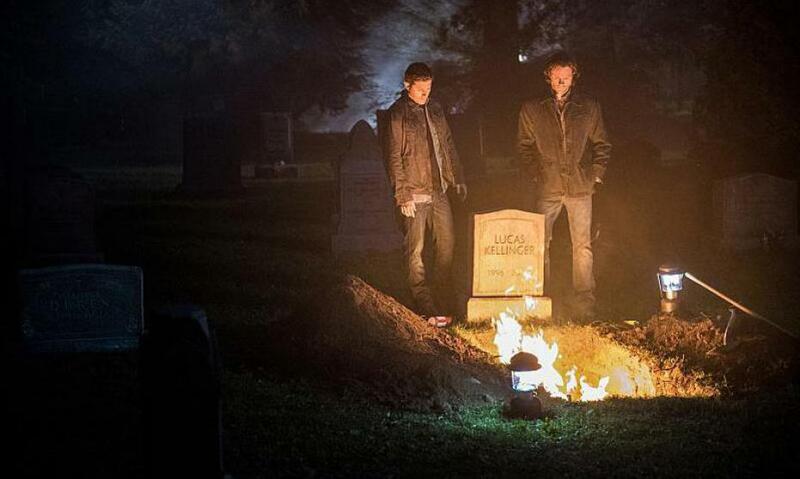 I’ve just finished a binge watch on Netflix of the first eleven seasons of the series Supernatural (go figure). The basic setup, for those of you unfamiliar with the show, is a pair of brothers who travel the country saving people from various supernatural bad guys and monsters. In their world, this stuff really exists, and behaves in predictable ways. The brothers are often testing solutions to see what works, and researching into records to see what has been successful for other monster hunters in the past. 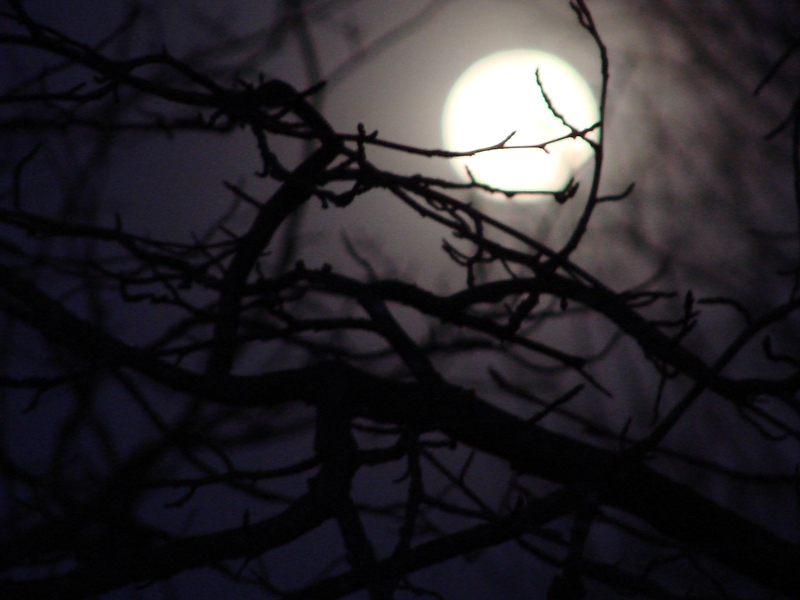 For example, what works on a werewolf always works on a werewolf, but is not necessarily effective on a skinwalker or a vampire. The trunk of their car is filled with dozens of different weapons, to be prepared for anything they run into. 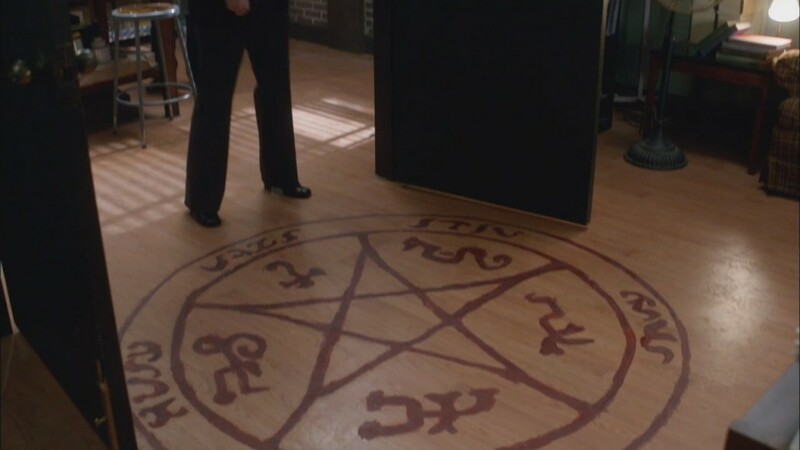 I’d like to look at the show’s treatment of demons in particular, since often theists claim that demons are real. Demons can possess people without their permission, but can be evicted by someone else performing the exorcism incantation, upon which they exit from the possessed person visibly. No uncertain “I feel better now, so it must be gone” stuff. You can see it leave. If you trick one of them into standing on a devil’s trap, even if it’s under a carpet, they can’t leave until the trap outline is broken. If you put specific items in a box, bury it at a crossroads, and say the right incantation, a crossroads demon will appear, ready to make a deal with you. And if you make a deal with a demon, they will abide by it, no cheating. But you had better read the fine print first, because they will abide by the letter of the agreement, not the intent. And there’s a lot more specifics on demons, that I won’t go into here. Each different sort of baddie in the series also has specific characteristics and weaknesses. Not some vague woo-woo “I feel a spirit in the room whose name starts with either a C or a J”. Nope, if there’s a ghost around, the temperature drops, the EM meter goes whoop, the ghost is usually visible and often solid, and they are repelled by cold iron or salt. You want to be rid of them? Find out what is tethering them to earth (usually remains of some kind) salt and burn that, and the ghost disappears in a burst of flame. Usually just in the nick of time, of course. Sam and Dean don’t need to know the actual mechanism that makes all this possible. They just see it in action, every day. If theists could pull out examples of stuff like this, that’s predictable and testable and doesn’t line up with the laws of our physical universe, and our most thorough testing was unable to reveal any use of trickery or special effects, then I’d be willing to consider that the supernatural exists. I wouldn’t need to know how it works, I’d be fine with seeing that it does work. But Sam and Dean’s world isn’t our world. The show even made this point by having the characters break through into our world at one point, where they found themselves on a TV set in Vancouver, and to their dismay found out that magic doesn’t work here! Of course, I would not need a theist to show me exactly this evidence to establish that the supernatural is something more than their imagination. But extraordinary claims require extraordinary evidence. Claiming the existence of an invisible realm full of invisible super-beings that interact with us? That’s really, really extraordinary. Show me evidence as strong as the characters are provided with on this show, or don’t bother. Posted by Ubi Dubium in Brain Glitches. OK, time to wrap the series up. When you’ve deconverted from religion and superstition, and decided to live a life based in reality, what do you think about that one strange thing that might have once happened to you? That thing that keeps you convinced that there’s a supernatural realm out there somewhere? So, when you are thinking of that thing you once saw, before you conclude it was an actual “impossible thing”, first you need to run through a serious thought process about it. Could you have mis-perceived it initially? Or filled in mental gaps based on what you expected to see? Did someone have something to gain by tricking you? And have you embellished your memory over time, to the point where what you remember now really might not be what you saw initially? So, finally, if you have still come to the conclusion that the thing you saw might actually be supernatural”, we have the problem of defining that term. Like “spirituality”, it’s a word that people throw around all the time, but when asked for a straightforward definition, they either can’t define it, or define it in terms of other vague undefined concepts, which isn’t helpful. Here’s my working definition of “supernatural”: We live in a four dimensional space-time universe of matter and energy, governed by predictable physical forces. That’s the “natural world”. 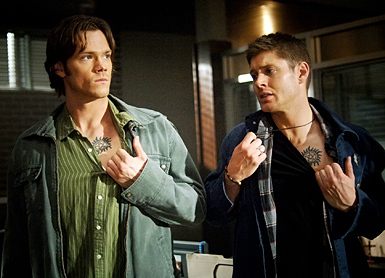 “Supernatural” would be something that is not that, either wholly or in part. For us to detect something “supernatural”, it would have to have the ability to interact with our physical world in some way. Even if that’s just deflecting some photons, or causing an EM disruption, or just planting a thought in somebody’s brain, all of those things are interactions with our physical world. Any being that is completely unable to interact with our world would be totally undetectable and therefore irrelevant. To be sure that something is really supernatural, you’d have to examine it in a way that eliminates all of the other possibilities we have already discussed. Since the real world is so messy, the best way we can be sure is to do carefully controlled examinations, where we reduce the variables down to just the thing we are examining and eliminate cheating. Of course, a fleeting “ghostly vision” isn’t going to be easy to catch in a lab experiment! Lots of investigators have worked to pin down something “supernatural”, to where we could get a look at it, and actually say something coherent about it. Alas, the better the controls are on your experiment, the more the “supernatural” aspect goes away. The JREF has had a standing ONE MILLION DOLLAR prize to anyone who can demonstrate something supernatural under conditions controlled to eliminate cheating and wishful thinking. So far no one has even passed the first round of tests. Does this mean there isn’t any such thing? Well, no, but given the results so far, I’m not holding my breath. So this time I’d like to talk about memory. We like to think of our memories as video recorders, perfectly recording what happened and playing it back the same way every time. But, sorry to say, this is not the case. Our memories are buggy, subject to change, and just not very reliable, especially about details. As I discussed in the last two posts, the first problem with memory lies in perception. If we have misunderstood what we saw or heard, then we are remembering it incorrectly from the start. So that’s one strike against us to begin with. Let’s try a simple memory exercise before you read the rest of this post; take a pencil and paper and draw a simple line drawing of a bicycle. Should be easy right? Take a minute and give it a try. Okay, more on this. If you have deconverted from religion, and have gotten rid of most or all of your superstitions, what do you do with that one strange experience that you can’t explain? How do you work that out? So let’s look at an example of a time and place where people are willing to be fooled – faith healing. Posted by Ubi Dubium in Rants, Uncategorized. On Sunday, October 15, the attached advertisement ran in the print edition Parade Magazine which I received with my Washington Post, and as you can see this ad had your name and logo in the lower left-hand corner. I spent some time reading the ad, attempting to determine what sort of medication this was, and what the active ingredients were. Eventually, I got out a magnifier and was able to just make out that each package was labeled “homeopathic”. 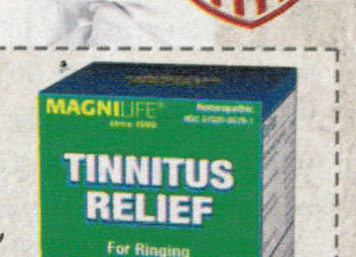 Nowhere else in the ad could I find this indicated, and the labels were illegible without magnification. It appears that this ad is deliberately concealing the nature of what is being sold, a dishonest practice. Homeopathic preparations generally do not contain any measurable level of active ingredients, and clinical trials have shown them to be no more effective than a placebo. While I understand that there is a market for such products, a major pharmacy should not give the impression that it endorses their use. If Rite-Aid allows its name to be associated with an advertisement for a medication, I would expect that the ad would meet at least a minimum standard of honesty about the identity and efficacy of the product. I would expect that the word “homeopathic” to appear legibly in the ad, and that there be a disclaimer such as “these statements have not been evaluated by the FDA” or “The FDA does not evaluate these remedies for safety or effectiveness,” or a disclaimer that Rite-Aid does not guarantee anything beyond their safety and lack of side effects. 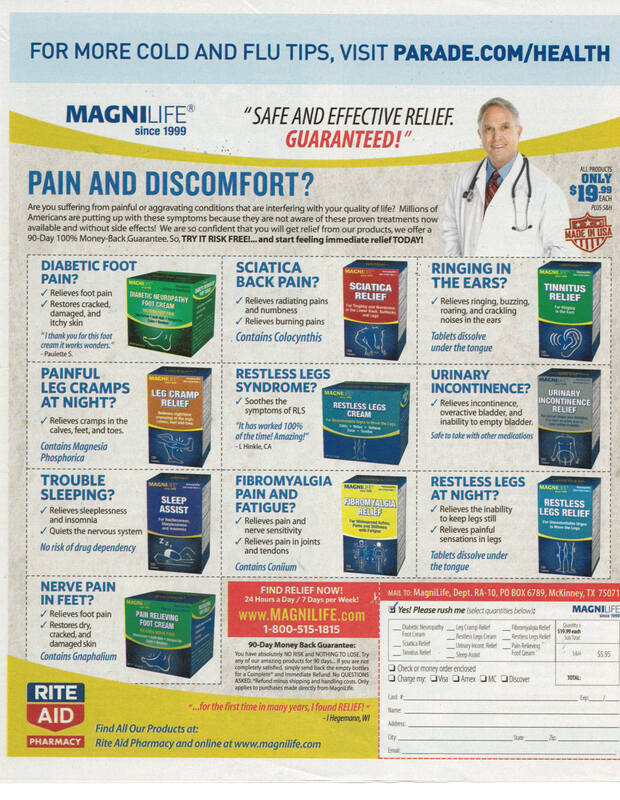 Considering that this company, Magnilife, is using your name and logo to sell boxes of sugar pills for $20 each, they stand to make quite a profit off the reputation of Rite-Aid. I ask, as a concerned consumer, that you respond as to whether their use of your logo and name was authorized, and what your policy is regarding truth in advertising in ads that bear your name. As of today, I have heard nothing back from Rite-Aid. If I do get a response (and I doubt that I will), I’ll post an update. Update – I checked at the Rite-Aid website on 10/31/13, and as of yet they have given no response. I’ve been thinking lately about standards of evidence. I see a lot of people make colossally outrageous claims (usually religious or pseudo-scientific), with little to nothing to back them up. And they are taken aback when challenged that an ancient book or a feeling in their “heart” doesn’t suffice to convince anybody else. So I wanted to look at an actual extraordinary event, and the evidence pointing to it having happened.